Further Student Success for Team Ossila! A HUGE CONGRATULATIONS to Oliver and Hadi, who have been Highly Commended at National level for the Off Campus Commercial Impact Award. 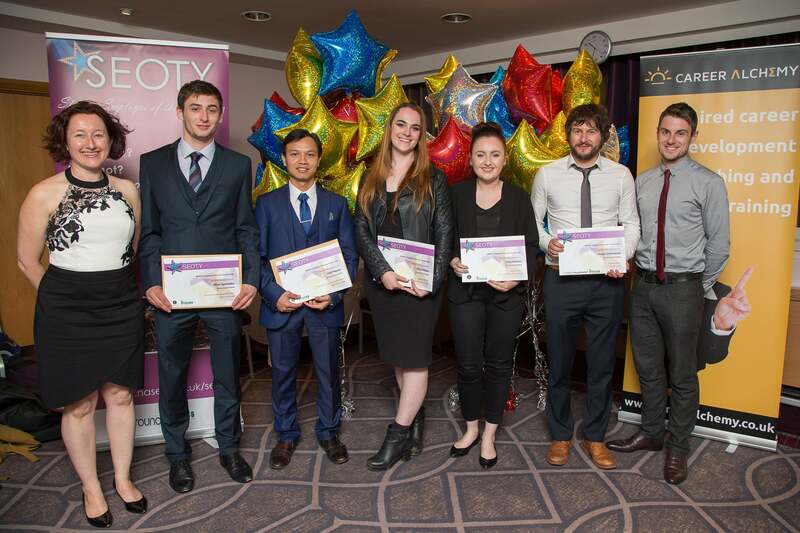 They attended the National round of the Student Employee of the Year (SEOTY) Awards held in Birmingham on the 7th of July. Oliver and Hadi had previously won the Institutional and Regional Award for Off Campus Commercial Impact and were subsequently invited to the National competition. Where they were able to take this success even further and were both highly commended at National level. We are very proud of them both and are very happy that their hard work and dedication has been recognised on such a National scale. For more information on SEOTY.